Amazing Tales, The Complete Coloring Book contains all the artwork featured in Amazing Tales, the full color illustrations have been reworked by original artist Iris Maertens to be suitable for coloring. That's 36 pages of coloring fun. Character portraits are presented in character sheet format, and there's an additional blank character sheet so kids can create their own chararcters in the same format. 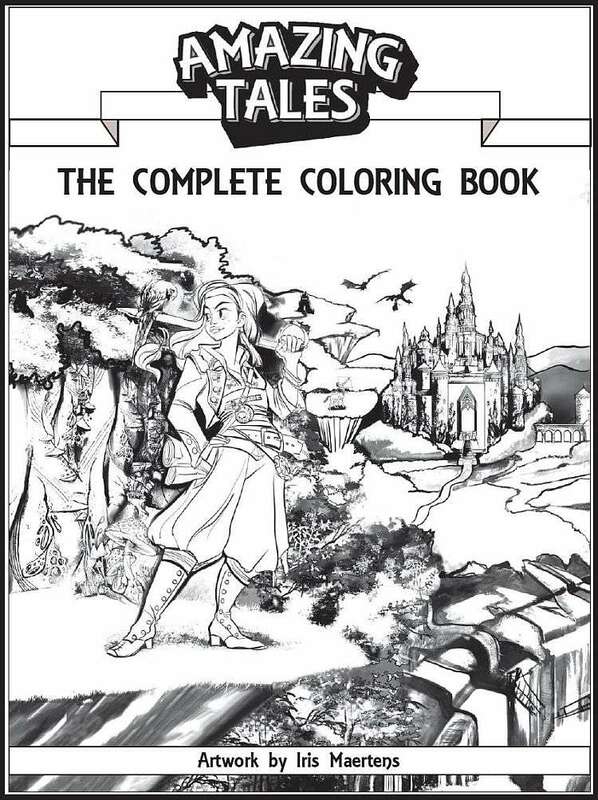 The complete coloring book will be updated as new Amazing Tales material is released. It will always contain every image included in Amazing Tales RPG publications. So you can look forward to your coloring book growing with new pictures.